Most people spend their summers with their windows open as often as possible. So the thought of replacing windows doesn’t always cross their minds. But if your windows are on the older side, the summer is one of the best times to replace them. It’s easy for a window company to replace them without causing discomfort in your home. Since it’s not freezing cold outside, you won’t have to worry about your home becoming too cold for you to live in during window replacement. There are other reasons to replace your windows during the summer, too. Check them out below. It will make your home more energy efficient. While you probably open your windows a lot in the summertime, you also close them when you run your air conditioner. But if you have older windows, they probably aren’t as energy efficient as they could be. As a result, your AC has to work twice as hard to cool your home down. By installing new windows, you can cut down on the amount of time your AC needs to be on, which will, in turn, cut your energy costs significantly. It will give you a better view of the outside world. Old windows are often clouded by condensation and filled with scratches and other imperfections. It can ruin the view you have of the outdoors. By replacing your windows, you can get a better view this summer and continue to enjoy the view once fall and winter come around. It will make your home more secure overall. If safety is a concern of yours, new windows will put your mind at ease. They will prove to be more secure and will protect you and your family from those who might be thinking about trying to break in. New windows have all sorts of technological advances that make them hard to get through from the outside. 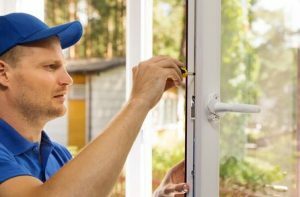 You will enjoy many benefits when you replace your windows this summer. Call Roofing by Bruce at 570-424-8891 to schedule a window consultation today.